Keeping one’s stress in check is a vital component of anyone's addiction recovery program. Those who find themselves overworked or dealing with personal trials and tribulations are at great risk of relapse. Unhealthy responses to stress feed the ever-hungry spider of addiction. In treatment, clients learn healthy ways to manage the many stressful occurrences that can arise in one's life. Becoming proficient in, and committing such tools to memory can be all that stands between one's recovery and relapse. Stress, naturally, is a part of life. While there are ways to circumvent most stressful circumstances, some things are out of our control. But, and fortunately, recovery teaches us to live life on life’s terms. To never take things (ourselves included) too seriously. Our “higher power” will find a way to help us navigate that which befalls. And, as long as we keep recovery as our number one priority, we shall and can overcome anything. If we remain calm and keep a clear mind (drug and alcohol-free) we can break through to other side of a problem. Talking about stress and how it can disrupt one’s recovery is an especially important topic of late. All of you surely are aware of the serious state of affairs in southeastern Texas. The devastation caused by Hurricane Harvey is catastrophic, with millions of Americans affected in one way or another. Extensive flooding in Houston and other cities along Harvey’s path is expected to result in as many as 30,000 people in need of temporary shelter, The New York Times reports. State lawmakers and Federal agencies seem to be working together to ensure the safety of one the nation’s most populated regions. Service at 16 centers that process 911-emergency calls. Cable, internet or telephone to over 180,000 homes. With 12 Step meeting places underwater and phone services disabled, contacting recovery support isn’t possible for an untold number of people. It is fair to say that it can’t get much more stressful than this for anyone working a program. At times like this, keeping in constant contact with one’s higher power is of the utmost importance. And, hopefully you had time to grab your “Big Book” before evacuating the area. Natural disasters may be the best example of how little control we have over the course of life. Which may be an eye-opening teachable moment for your own recovery. And just how important it is to give life's trials to your higher power. Even if your find yourself displaced from your recovery support network, you can always have a dialogue with that which is Greater than you. You may also be among large groups of people faced with the same problems, some of which might be in the program as well. The old distress signal, “Any friends of Bill W, please report to…,” may prove useful. "I am Responsible. When anyone, anywhere, reaches out for help, I want the hand of A.A. always to be there. And for that: I am responsible." Understandably, the suggestions above may not reach the eyes of those in greatest need, considering the FCC report. But, there is a large number of people who have been affected that did get flooded or lose connectivity. Lives also disrupted by the devastating hurricane. Those of you in the impacted areas who were relatively unscathed could reach out to provide addiction recovery assistance to those who were. The Substance Abuse and Mental Health Administration (SAMHSA) also has a number of tools for people affected by the trauma of natural disasters. Now, more the ever, is when the true light of the fellowship should shine the brightest. 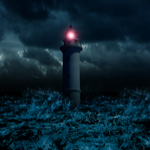 Guiding the many individual ships of recovery from the rocky shoals of relapse. At Hope by the Sea, our thoughts and prayers are for the safety of everyone affected by Hurricane Harvey. We are hopeful that those working a program can continue to practice the principles of recovery, in spite of their circumstances. Keeping their stress at bay, knowing that the waters will (in time) recede, so you can be there for others when called upon.